The ProLiant BL460c Gen9 Server Blade from Hewlett Packard Enterprise delivers excellence in the converged data centre space with right performance. 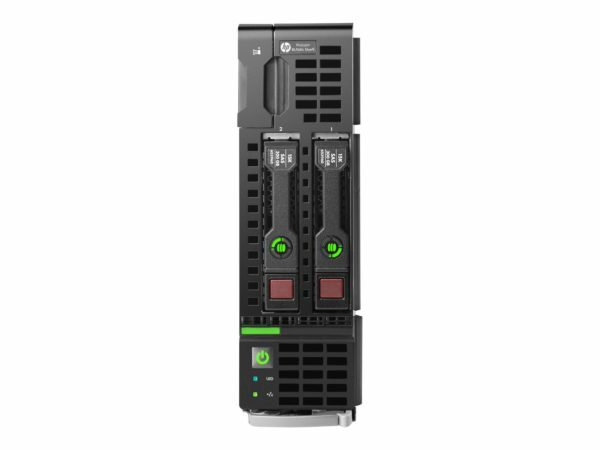 This Built-to-Order ProLiant BL460c Gen9 Server Blade from HPE boost an increase in compute performance with Intel® Xeon® E5-2600 v4 processors . This 2-way 14 core and 16 slots PC compatible Server Blade comes with 256 GB Memory and allows for a maximum of 512GB. This ProLiant BL460c Gen9 Server Blade includes USB 3.0, optional dual micro-SD and 64/120 GB M.2 support with flexible embedded storage controller options, SAS and HBA options.